Now some people might think it’s more practical to ride their motorcycles than to have it shipped, especially when they’re relocating. However, the truth is, considering the cost of gas, food and other travel expenses, it’s definitely much more economical to hire a professional motorcycle shipping company or a full-service moving company to do this stressful work. According to the most recent survey done by the Department of Transportation in 2011, there were more than 8 million motorcycles registered in the United States. This includes both private owners and commercial organizations. That means there is at least 1 motorcycle owner out of 36 Americans in the country. 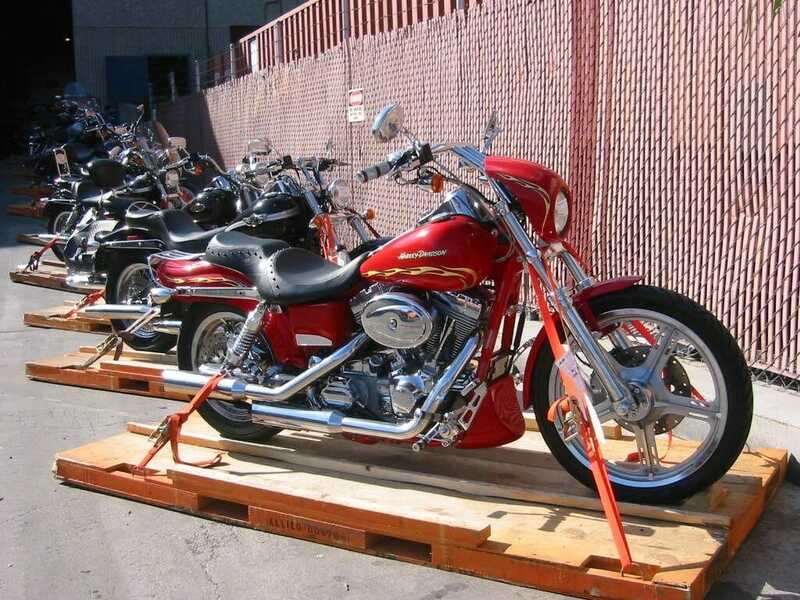 There are several reasons why someone would ship their motorcycle, but the most common is relocation. Since they need to take care of a lot of things during the move, opting to hire a motorcycle shipping company is the best option for them. 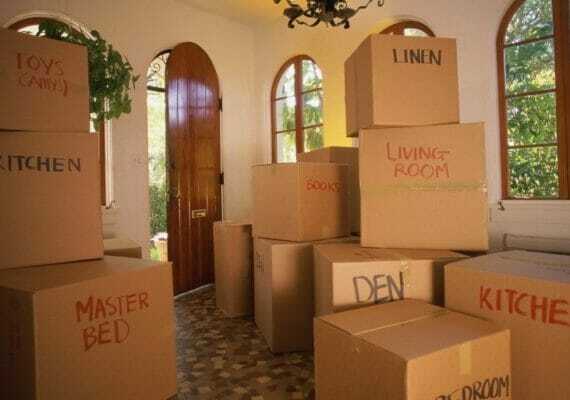 Imagine the preparation that you need to do when you’re planning to move. You won’t have that much time to go out and ride your bike to your new location. Plus, you have work and your family to think about. Other reasons would include delivering the motorbikes to buyers or sellers, bringing them on a vacation and attending motorcycle events and rallies. Furthermore, those who own luxury or vintage motorbikes would do this to avoid adding miles on the odometer. Whatever the reason is, there are many things one must consider first before deciding to ship their precious motorcycles to their new place. Using a motorcycle shipping calculator online is the easiest way to know how much it costs to ship a motorcycle within the U.S continent. However, to give you an idea, the average cost to ship a motorcycle over 1,000 mile range from $350 to $700. For short distance travel, the cost ranges from $180 to $300. Meanwhile, the average per mile is around $0.50 for trips of about 1,000 miles. Motorcycle size and weight – Regular rates can cost around $0.50 per pound, though there are others that can charge less than this. The size and weight of your bike can definitely affect the cost of shipping, because there are transport companies that calculate the cost of insurance by weight. Simply put, lightweight, easy to manage motorcycles costs less than the bulky, Harley Davidsons type. This means, you can expect to be charged an additional fee for shipping big motorcycles. Why is this? 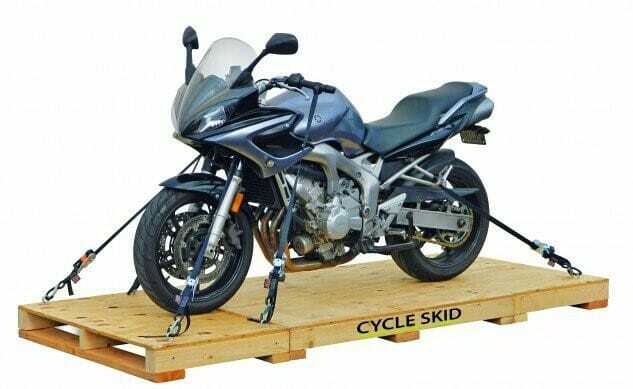 Keep in mind that shipping large bikes would also require using oversized crates, tie downs and other special packing materials to ensure its safety and condition. Transport distance – Some full-service shipping companies provide their clients with affordable deals as long as their pickup point is within a certain range. This means the closer the distance, the cheaper it is and vice versa. The proximity of the pickup and drop-off location to major highways is also another big consideration. In shipping to remote or hard to reach areas, additional charges may be applied. Remember, charges may vary depending solely on the transport company, so don’t forget to ask them about this information beforehand. Location of Pick-Up and Drop-Off – In general, it’s cheaper to ship a motorbike within an urban area than in rural or remote areas, especially for door-to-door service. Open VS Enclosed Transport – Basically, there two ways to ship your motorbike. Either through open and enclosed carriers. An open carrier means your motorbike may share the shipping truck with a few other vehicles and they will be openly exposed to the elements for the entire journey. On the other hand, enclosed carrier means the item will stay inside the truck or in its own container, safe from any outside elements. Of course, enclosed or closed transport costs a lot more than open transport. Think about this carefully before choosing which method to use. Generally speaking, open motorcycle transport works for 8 out of 10 customers. However, there are some cases when enclosed motorcycle shipping is highly recommended. For example, if you want to ship a luxurious Harley Davidson Cosmic Starship or a vintage 1939 BMW RS255 Kompressor, getting them shipped via enclosed carrier is definitely a must if you want to protect their condition. Season or Time of the Year – Seasonal demand can also affect the cost of motorcycle shipping, though not as much. For example, a customer would request to ship their motorcycle using enclosed shipping during winter time. We know that the weather in this season is not that favorable, so it is common sense to get enclosed transport. However, this would cost a lot, more specifically, around $150 more than a non-enclosed transport shipped during spring. Most of the time, the quote these transport service providers give their customers already covers all of the important details of the entire motorcycle shipping process. This includes loading, unloading, insurance costs and transit plus taxes, if necessary. 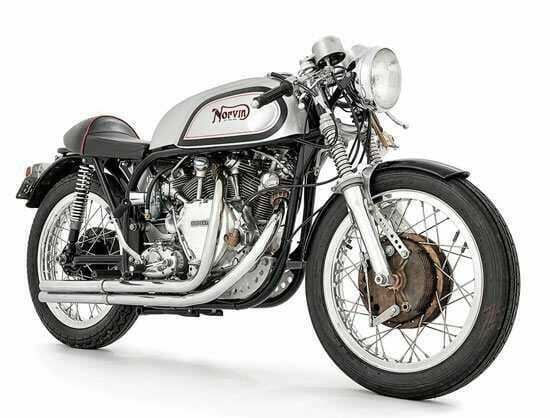 How Much Does It Cost to Ship Luxury and Vintage Motorcycles? There are no special rates for transporting luxury and vintage motorcycles. However, several owners would opt to pay for enclosed motorcycle shipping because it provides their motorcycles with maximum safety and protection. Like previously mentioned, others would choose to ship their motorbikes to avoid putting miles on its odometer. For those who’d like to send out their vintage or luxury bikes within the U.S via enclosed transport, the average cost that they’ll pay is around $800. Motorcycle shipping Insurance coverage – like what was mentioned above, other shipping companies will compute this via size and weight. Surcharges for Fuel Cost – the closer the location, the cheaper the fuel costs and vice versa. Failed delivery attempt – in case of a failed delivery, additional charges may be applied which is around $200 or more. Door-to-Door service VS Pick-up and Drop-off at a Convenient Location – Door-to-Door service is recommended if you live in a wide, spacious neighborhood that’s free from any obstruction (cable lines, etc.). Else, it’s much better to meet with the shipping company at a more accessible location so you can avoid getting charged an extra fee for the pickup. Additional space for sidecars, trailers and other attachments (accessories). The best way to ship your motorcycle is to choose a transport company that specializes in shipping motorcycles or motorbikes. Keep in mind that it’s important to do your research first and look into at least 3 to 5 companies. Ask for sample quotations and compare them with one another. Also, don’t forget to ask for any additional costs or surcharges or even discounts and promotional deals. Don’t be afraid to take your time. Another way is to ask someone you know for recommendations and referrals. Once you’ve done your homework, you can now schedule the pick-up and drop-off date plus other details with your chosen transport service provider to get the final quote. If you agree with the price, terms and conditions, then book the shipment and prepare the payment. It’s crucial to stay in touch with your shipping company and make sure everything is settled before the shipment to avoid any inconvenience. How Long Does it Take to Ship a Motorcycle? Usually, the average delivery time is about two weeks to a month depending on the drop-off location. For most transport companies, the available pick-up date is 2-7 business days after the customer places an order. Then, the actual shipment takes around 1 to 6 calendar days after the motorbike is picked up. However, for express motorcycle shipping, the first pick-up date is usually available within 24-72 hours. Take this into consideration when planning for your move. Now that you’ve got an idea about how much it costs to ship a motorcycle within the U.S, here are a few more tips for you. Make a decision whether to use open carrier or enclosed shipping. Consider the season, the condition of your motorbike and the drop-off location. For longer distances (500 miles or more), it’s recommended to go with enclosed shipping for better protection. Understand what door-to-door transport means. Prepare your motorbike for shipping by giving it a good and thorough cleanup. Also, take note of any existing scratches, dents, marks or damages. It’s better to take a picture of your motorbike so you’ll have proof in case something happens during shipment. This will make your insurance claims easier. Remove any personal items or belongings and deactivate any alarms so it would not cause any problems during shipment. Check the tires to see if they’re adequately inflated. Put the motorcycle in neutral. Do this to prevent any accidents. If you’ll be using crates for shipping, don’t forget to drain the gas tank first and take out the battery. Remember, crates are made of wood and therefore highly flammable. Even a slight gas leak would cause a huge accident. At the drop-off site, prepare everything you need like payment, etc. Once the motorbike arrives to its destination, don’t forget to carefully check it for any damage. Compare the pictures you took prior to the shipping. In case of a dispute or claim, coordinate with your transport service provider, and follow their instructions on how to file for a complaint. Insurance claims normally take around a couple of weeks to be reviewed and settled. Contact moveON moving for a free quote on shipping your motorcycle or any of our other moving services.